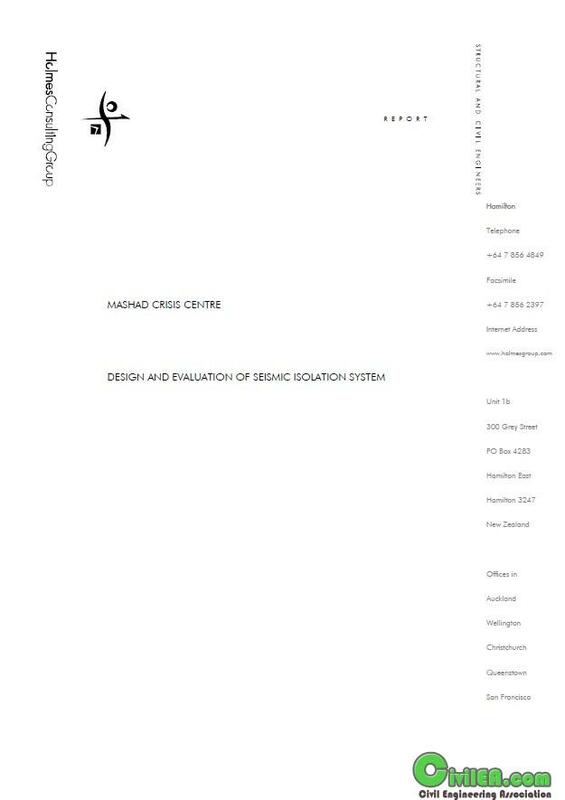 This report presents the design and evaluation of a seismic isolation system for Mashad Crisis Centre. Design is generally in accordance with the United States Uniform Building Code (UBC) except for parameters such as level of seismic load which are taken from the Iranian earthquake code. The building is a 1 storey with 1 basement floor structure. Details of the building layout and structural system are provided in a separate report. The design process for the seismic isolation system was iterative, with a number of configurations and isolation system designs considered. This report details only the final isolation system selected. The structural design was based on an equivalent linear elastic analysis using the computer program ETABS.